The Managing Director of the Precise Financial Systems (PFS), Dr. Yele Okeremi has described the kind of partnership between the Federal Government and PFS as a way on how not to import poverty into the country, reports ITRealms. PFS, ITRealms recalls is the software house behind the National Automated Clearing System (NACS), which facilitates all the Deposit Money Banks in the country to clear cheques within hours and has test-ran the infrastructure for 11 weeks and a total of N5 trillion worth of cheques from 10 million transactions. He also highlighted the national and sovereign security issues involved in such foreign preference over jobs locals could do. Okeremi pointed out that no developed country would allow foreigners to have access to certain critical infrastructure in their countries. “So why do we keep exposing our country to such sovereign risks. 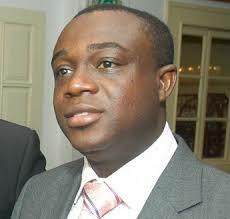 I think the fact that NIBSS has led the way in this direction, I expect other organizations to follow suit” he decried. PFS boss maintained that the Nigerian economy would benefit immensely from the new solution because it is “conceived and developed by Nigerians thereby saving some capital flight for the country”. He posited that what PFS has given the country is an infrastructure. “It is a switch. It can switch anything. I look forward to when that infrastructure can be used for other transactions. When a country talks about independent, sovereignty, these are some of the things that matter. How much of your services are internal to you? Are you breathing through the nose of other countries and you claim you are independent? These are some of the things that make one happy and we can say that Nigeria’s problems are being gradually solved. There is a big road ahead,” Okeremi emphasized. Also speaking, the Head, Domestic Payments and Collections, Union Bank, Mr. Kolawole Aminu, described the new platform as user-friendly. “Over N5trn that has been processed on the new platform just within 11 weeks; We’re talking of over 10m in terms of the volume of cheques. That tells you how much we do with this mode of payment,” he said.